New challenges require not just new solutions, but new approaches to how we solve problems. This week’s picks focus on new ways to build on other planets, new ways to make cars, and new ways to make sure that injured vets can still go swimming with their kids. Mars or bust. While Autodesk and NASA are working together to automate the 3D-printing of structures on Mars using local materials (via Fast Company), JPL is making an open-source planetary rover available to schoolkids right here on Earth (via IEEE Spectrum). Plan ahead. Dezeen drops by a Brazilian home that’s redefining what’s possible in the world of prefab. 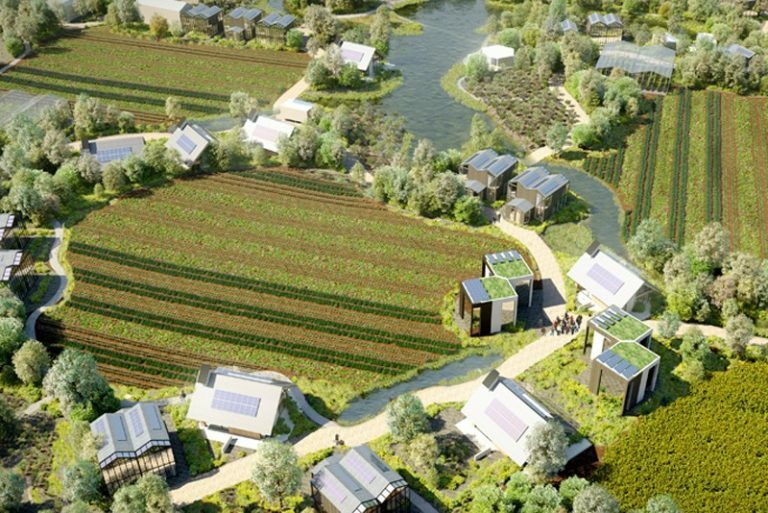 And Architect Magazine introduces us to a planned community that’s designed to be entirely self-sustaining in terms of food and energy. Future of architecture, here we come. Land of the best sand. Better sand makes for a better computer chip, and some of the best in the world comes from Spruce Pine, North Carolina. WIRED takes us for a visit. New cars, new ways. From new ways to make hydrogen-cell cars work at scale (via CNET) to new exoskeletons that help auto workers do more with less effort (via Engadget), things are changing inside the auto plant. Swim limb. 6% of injured war vets come back missing a limb. 3D Printing Industry shares a new amphibious prosthetic that helps them move both in and out of the water.